Charles “Chip” Burke, MD, graduated with Honors from Harvard University, and the University of Cincinnati Medical College. Dr. Burke completed a residency program in Orthopedic Surgery at the University of Pittsburgh and completed a Fellowship in Traumatology at the AO International Institute in Graz, Austria. Dr. Burke has been named to the Pittsburgh Magazine’s “Top Doctor’s” list. Dr. Burke was the Team Physician for the Pittsburgh Penguins for 27 years and was honored for his service by election into the Pittsburgh Penguins Hall of Fame in 2013. He served as Team Physician for the USA Hockey Team at the 2002 Olympics and the 1991 Canada Cup. He is Past President of the National Hockey League (NHL) Team Physician’s Society and served on both the Executive Committee and the Injury Analysis Panel of the NHL. Dr. Burke developed, and is past director of the NHL Concussion Program, which was the largest study investigating the effects of head injuries in sports. He has also been involved at the amateur level with USA Hockey. He served on the Safety and Protective Equipment Committee since 2000. He also supports the Coaching Education Program, serving as an instructor in the Coaching Education program at all levels and is the Associate Coach-in-Chief of the Mid-Am District. Video tapes of his lectures are shown across the country to all levels of coaches. He was honored in 2015 by USA Hockey with the Excellence in Safety Award and again in 2016 with the Walter Yaciuk Award at the National Congress in Colorado Springs. Locally, he was a youth hockey coach for 15 years. At Harvard, he earned a Varsity Letter in Ice Hockey. He has also served as Team Physician for several colleges, including CMU and Robert Morris—and provided Sports Medicine coverage to many high schools. He has been recognized locally by Pittsburgh Magazine as one of their “Top Doctor’s”, and nationally by being included on the list of “Best Doctor’s”. St. Margaret’s Hospital awarded him their “Above and Beyond Award” in 2009. 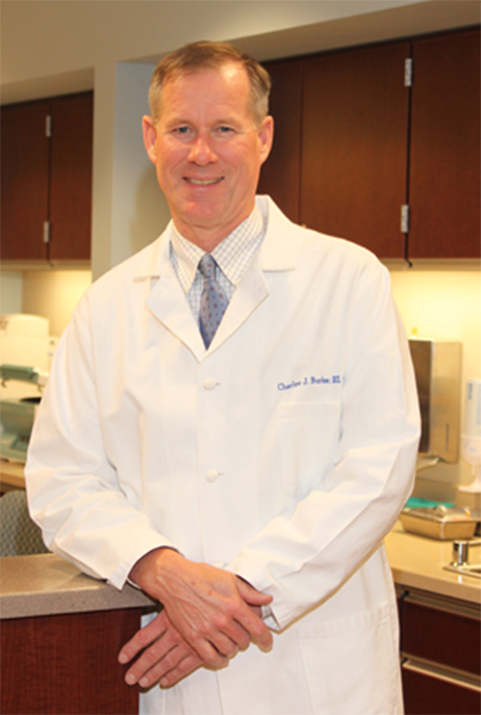 Dr. Burke is Board Certified in Orthopedic Surgery with a Sub-Specialty Certificate in Sports Medicine. He is an Associate Professor of Orthopedic Surgery at the University of Pittsburgh and is involved in training future Orthopedic Surgeons. He has instructed and lectured at many academic conferences, especially on the safety issues and injuries in sports. He is a member of the American Academy of Orthopedic Surgeons, the American Orthopedic Society for Sports Medicine, the Arthroscopic Association of North America, the Orthopedic Trauma Association, and the Pennsylvania Orthopedic Society. He is proudest of his accomplishments at home, marrying his wife Kathy and helping her raise four children.